ABS – American Bureau of Shipping provides certification of Remee cable for use by shipbuilders for marine, maritime and cruise ship applications. RoHS – RoHS stands for Restriction of Hazardous Substances and impacts the entire electronics industry and many electrical products as well. RoHS restricts the use of hazardous materials found in electrical and electronic products. As a responsible corporate citizen, Remee is compliant with RoHS requirements to reduce environmental hazards, pollution and occupational exposure during manufacturing. 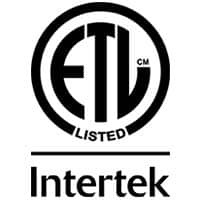 ETL – The ETL Listed Mark from Intertek is the fastest growing product certification mark in North America with more than 60,000 product listings. Many Remee products are ETL listed. standards bodies. Through its members, it brings together experts to share knowledge and develop voluntary, consensus-based, market relevant International Standards that support innovation and provide solutions to global challenges. They provide world-class specifications for products, services and systems, to ensure quality, safety and efficiency. They are instrumental in facilitating international trade. Remee is ISO 9001 certified and, like all other similar organizations, is regularly audited to ensure manufacturing and other processes are operating as required. Mine Safety and Health Administration is part of the US Department of Labor. It provides information and regulations regarding the safety and health precautions within the mining industry. Additionally, it serves as a resource for education and training within the industry. Many Remee Mining cables are MSHA certified.